FFA announces the national convention and expo to move to Indianapolis from 2016-24. 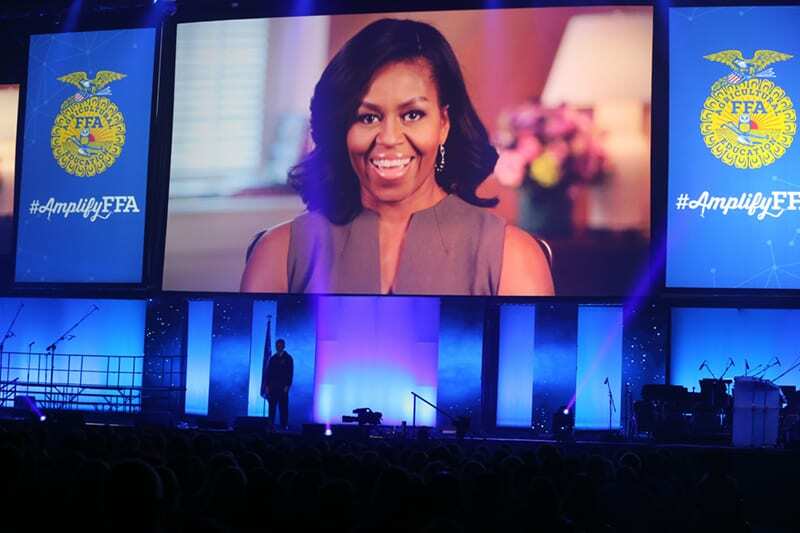 First Lady Michelle Obama gives video greetings to attendees at the national convention and expo. Membership in the National FFA Alumni Association reaches 62,705 alumni. The organization’s official website, FFA.org, is updated to include a new look, a personalized dashboard, the resource My Journey, the FFA Resume Generator© and the FFA Brand Center. The FFA emblem is also newly refreshed to modernize the FFA brand.